The plan was to head to Vaadhoo and then to Gadhdhoo to finish the full circuit, but as we could only guarantee a place to stay in Vaadhoo next week (it is Eid after all…Eid Mubarak everyone! ), we decided to leapfrog an island and head to Gadhdhoo first. 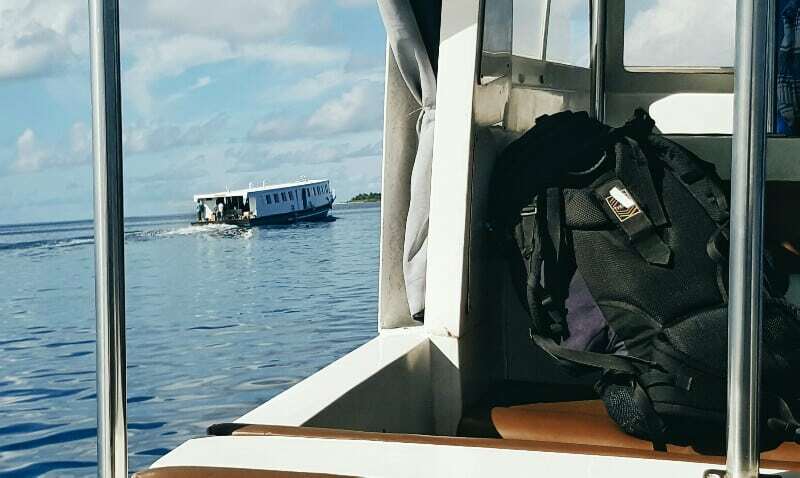 The next plan was to catch the atoll ferry from Faresmaathodaa, scheduled for 15.40, but as we rolled up to the harbour at 15.15 we could see it sailing off into the distance already. The final plan was to hop on a launch heading to Thinadhoo, which kindly agreed to help us leapfrog the ferry and overtake it on its way to Vaadhoo. So, we ended up visiting Vaadhoo after all…for about 20 minutes, and we suppose that makes Gadhdhoo our last island after all (sort of). We’ll be back to see Vaadhoo next week.